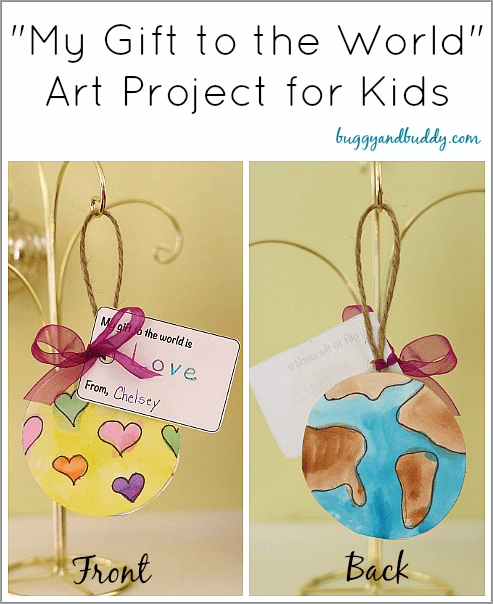 This “Gift to the World” Christmas craft for kids is the perfect activity to do around the winter holidays. 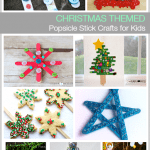 It’s a great way to help children focus on the needs of others during the holiday season! Sometimes the holiday season can become pretty hectic. When this happens I have to remind myself to take a step back and focus on what the holidays are really all about. 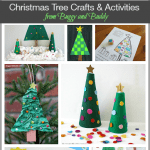 This Christmas craft for kids is a nice way to reinforce the spirit of giving. 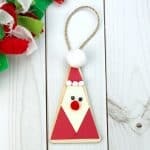 What is a “Gift to the World” Ornament? 1. 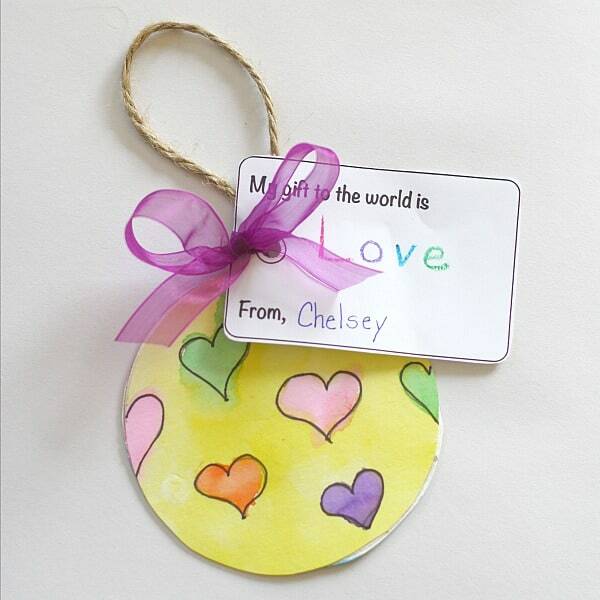 Start by asking your child if he/she could give the world one gift, what would it be? Then brainstorm something that could be drawn to represent that idea. 2. 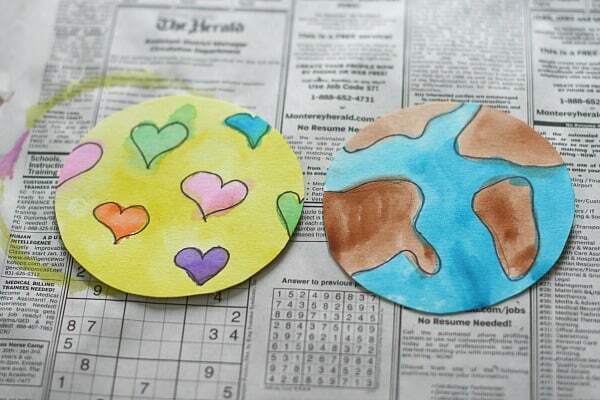 Cut out two circles from your watercolor paper. Be sure they are the same size. (I traced a bowl to create my circle.) When I did this project in class, we made our circles fairly large, about 10-12 inches across. 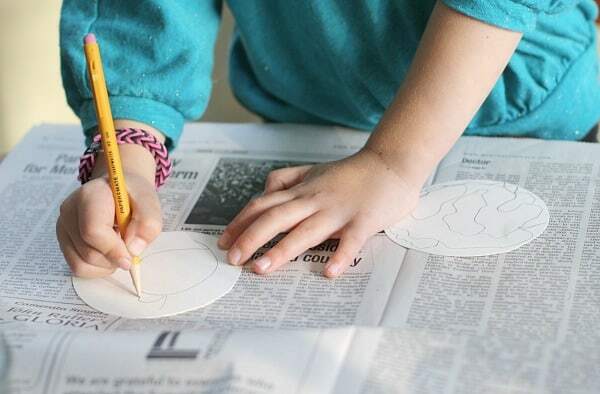 At home we made our circles smaller, about 5 inches across. 3. 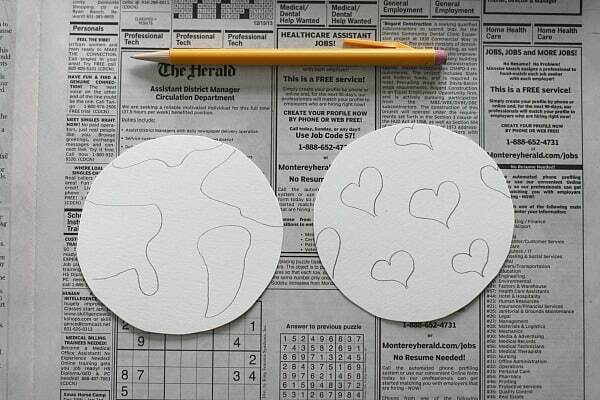 On one circle use your pencil to draw your gift to the world. 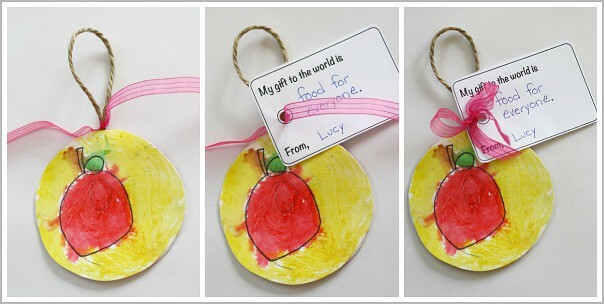 (When I asked Lucy what gift she would give the world, she said she wished everyone had enough food to eat. She decided she would draw an apple to represent her idea. I decided to focus giving everyone enough love so I chose to draw hearts!) On the other circle sketch the world. 4. 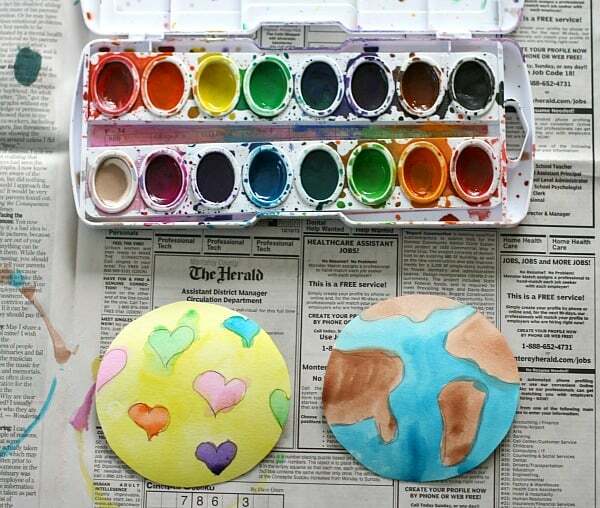 Use watercolors to paint both your pictures. 5. Once they are dry, outline the pencil drawing with a black felt tip pen. 6. 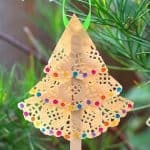 Cut a piece of string for hanging your project. 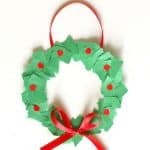 Fold it in half to form a loop for hanging, and glue it between your two circles facing back-to-back. 7. 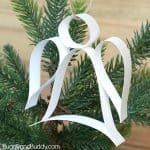 Fill out your gift tag, and cut it out. Poke or punch a hole through the circle. 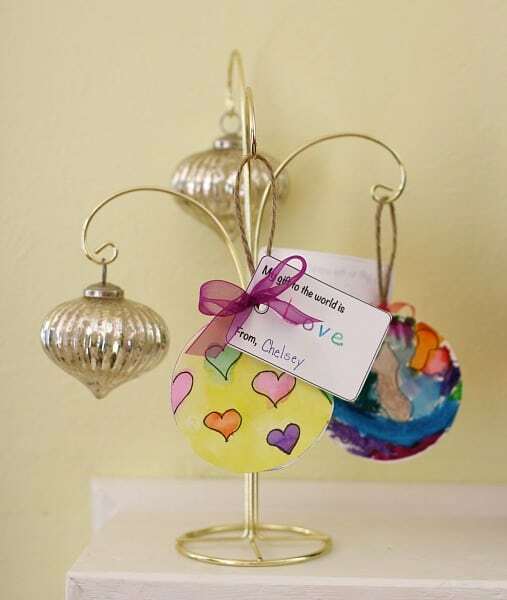 There are four different gift tag versions you can choose from: both large and small gift tags (depending on the size of your finished art project) and gift tags with or without text. 8. 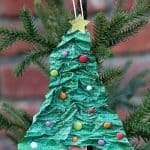 Cut a piece of ribbon, and use it to tie your gift tag to the top of your gift. Thread the tag onto the ribbon and tie it into a bow. 9. Hang it up to display! 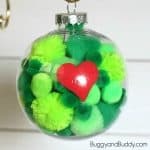 Found your blog through allfreekidscrafts.com. 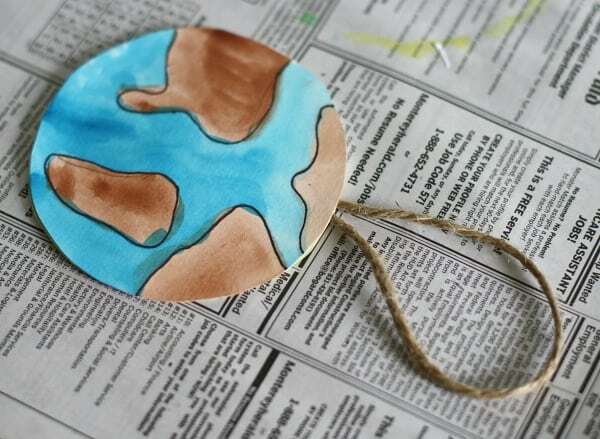 I teach Art for 2nd – 8th graders in a low economic area so low cost activities are always needed. 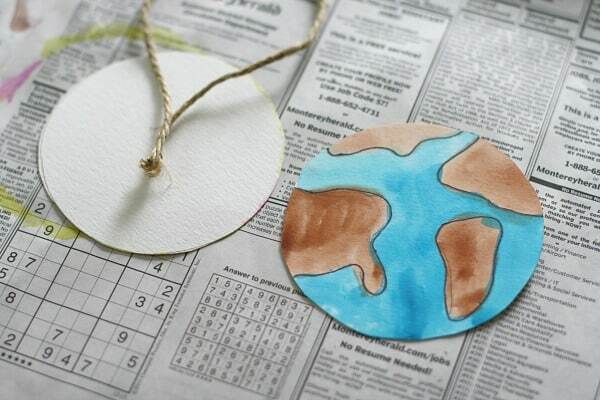 This project would be great for Earth Day. I also really liked the Valentine w/play-dough idea and the chalk stenciling. I did chalk Name Monsters (KinderArt) last week with 2nd-4th grade and they loved it. Thanks for the great ideas! Thanks so much for the kind message! I never thought of using this for Earth Day, but now you’ve got my wheels spinning! 🙂 I know from experience how challenging it can be at a school in a low economic area. Thanks so very much for all you do for your students!